A bipartisan "sriracha delegation" of Texas lawmakers will head to California on Monday to tour the plant where Huy Fong Foods makes its famous spicy red sauce. They're hoping to tempt the owners to move to Texas. The self-styled "sriracha delegation" of Texas lawmakers heads to Irwindale, Calif., on Monday to woo the maker of a popular hot sauce to the Lone Star State. 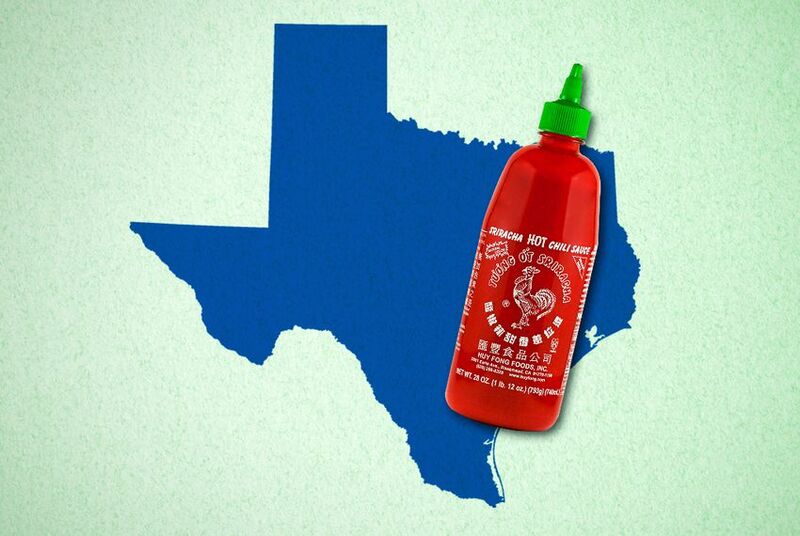 And the makeup of the delegation makes clear that bringing sriracha back to Texas is a spicy topic for both parties. State Rep. Jason Villalba, R-Dallas — who has led the charge to bring the Huy Fong Foods sriracha factory to Texas since residents in its current host city in California complained of itchy eyes and unbearably spicy smells — will be joined by state Sen. Carlos Uresti, D-San Antonio, who represents the district where most of the chili peppers needed for the sauce are grown. San Antonio or a nearby city could be a good fit for the factory's location, Villalba and Uresti have said. Tran has said he is not ready to make a final decision about moving his business. Huy Fong Foods has been in California since it was founded in 1980, and the Irwindale facility relies on a single pepper grower for the chilis used in its famous sauce. California congressmen and other politicians have risen to Huy Fong's defense. And the Irwindale City Council has backed off of its plan to deem the factory a public nuisance. But several states have expressed interest in the hundreds of jobs and millions of dollars in tax revenue that the factory would bring, and Texas is jockeying to be the top choice. “It’s obviously early and preliminary to suggest that they’re going to take that next step, but at least they’re open to considering it," Villalba said. "This is a serious endeavor." The delegation will tour the factory Monday morning and then head into a closed-door meeting with top Huy Fong officials.